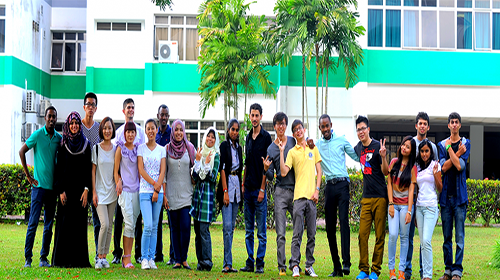 We help the students who are seeking admission in IUKL University (Or any other University in Malaysia), in everything from the application process and visa application and documentation to arranging for their accommodation – and even arrange to pick up the students from the airport and all in FREE of charge. 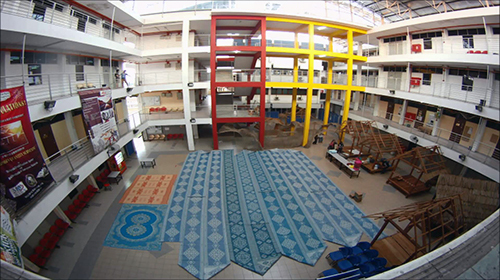 We make the students familiar with the life in Malaysia and in IUKL University, with the help of our extended services that will make every student feel at home. In simple words, If you are looking to study in Malaysia, we will basically do everything needed that you don’t have to look anywhere else. For details about our services click here. To get started right now or for your inquiries or if you want to study in IUKL University, visit our Online Malaysian Universities Application System (OMUAS) or fill out the Register form from the right side. Someone from our team will get in touch with you at the earliest and will take you through the entire process – clarifying all your doubts and answering all your queries. After registering with us you can log in and upload your required documents and that is the only thing you will have to do in this whole process, we will take care of the rest. Not meeting the above mentioned requirements makes it obligatory for students to take the English Placement Test and follow IUKL’s Intensive English Program before they advance to foundation, diploma, degree or post graduate programs. The list of documents for the purpose of admission to IUKL University, are provided on here. IUKL has in campus accommodations for its students to suit everyone’s needs. Rooms are available in single, double and quad sharing. Lodge for students located at the heart of the campus. Rooms are furnished with basic essentials like cupboard, fan/air-conditioners, table and chair, bed frame and mattress and bathroom and other amenities like Wi-Fi, fingerprint security access, toilet cleaning service and shuttle service. Hostel has separate wings for male and female. 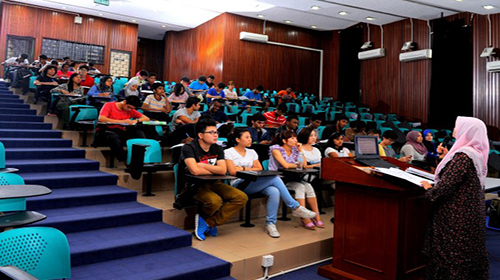 IUKL University offers a wide range of programs for the students to choose from. In the following tables, we have listed their available programs along with the tuition fees. * Total fees payable Per Semester/Short Semester depends on the number of credit hours registered. Contact us to receive detailed Fee chart. Average cost can vary in different years according to University's fee structure. Contact us to receive detailed Fee chart. Additionally, IUKL collaborates with two major media education funds, namely, The Star Education Fund and Sin Chew Education Fund, for those students who aim to pursue higher education. The scholarship is meant only for Malaysian students and covers several disciplines at diploma and degree level. Malaysian students are given 100% waiver on their tuition fee while international students are 50% waiver throughout their term in IUKL. Also, students who manage to maintain a CGPA of 3.750 and above in each semester are given 50% waiver in every semester. 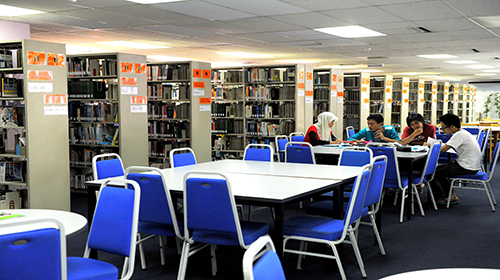 Students who choose to study from IUKL can get financial assistance such as MajlisAmanah Rakyat(MARA) and PTPTN. The university also offers you with flexible payment options for tuition fees. IUKL has initiated Malaysian International Scholarship (MIS) to attract best aptitudes from around the world and pursue higher academic studies in Malaysia. At IUKL, we believe in equal right of education for everyone. And therefore, we aim at making study within your means for the ones who really want to grow big, by offering them various scholarships and grants. Here study is made more affordable for students so that that can easily focus on their growth and development in their careers.The scholarship is given based on their academic performances and grades at the elementary level. IUKL offers flexible payment options for fees and also has initiated scholarship for international students. 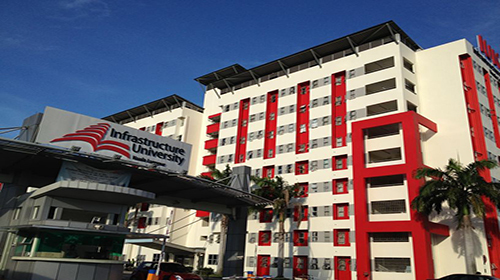 IUKL stands for Infrastructure University Kuala Lumpur and is a Malaysian Private university in Malaysia and is known as one of the best universities among all other private universities in the country. 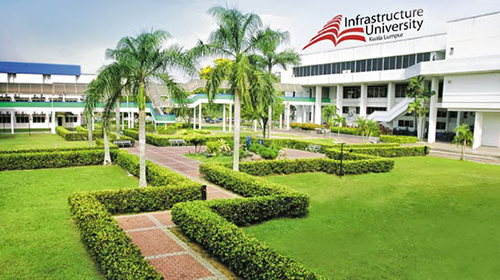 The IUKL in Malaysia is the first ever infrastructure university in Malaysia, which focuses on the integration of both hard and the soft aspects of the subject. IUKL Malaysia was established in the year 1998. 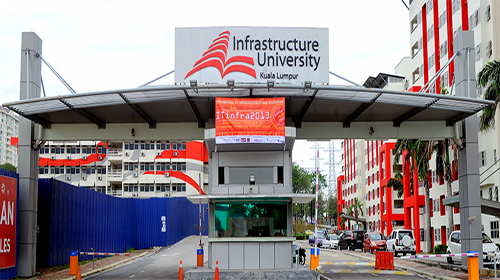 Infrastructure University Kuala Lumpur Malaysia works hard to ensure quality in every student by properly equipping and empowering them to meet every challenge in future.